This review is a reprise of the review first published 9/21/2012. Originally titled Allah's Revenge, Pete Barber talked last Saturday about revamping this book. If you missed that, read about it here. “I was born into a blue-collar family in Liverpool, England. Like my peers, I grew up working with my hands until an uncanny aptitude for building computer software allowed me to trade overalls and hard-hat for a suit and tie. I immigrated to the US in the early 90s, became an American citizen, and lived the American dream. After twenty successful years in the corporate world, I turned my back on eighty-hour weeks and quarterly results and bought a run-down, dog-friendly motel in Carolina Beach, North Carolina. A close friend still refers to this decision as a brain fart; but life is a one-time play, and no one can write, and run a public company. 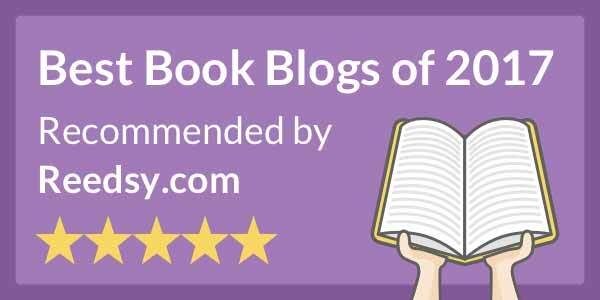 Pete is also Books and Pals most prolific pal; if you read his reviews you’ll get an idea of the kind of scrutiny he’s put his own book through. This is his first book, with another work in progress expected to be released in the spring of 2013 summer of 2014. For more, visit Pete’s website. “Allah’s Revenge,” an Islamic terrorist group, terrorizes the world using a weapon developed with nanotechnology. Quinn, an English cop, is determined to find and stop them. I’m a big thriller reader. Speculative fiction (fantasy, science fiction, and similar), not so much. What I liked about the speculative fiction portion of NanoStrike is that it involved technology that, while not here today, could be. Nanotechnology is on the leading edge of science; the nanotech inventions and discoveries that figure in this story aren’t hard to imagine as possible in the near future. There’s also a lot to like about the thriller portion of NanoStrike. Building on a premise (both political and scientific) that could happen someday, it has a likeable protagonist, necessary in my opinion to draw the reader in. If you don’t care about the protagonist, it’s hard to care about his success. What I found interesting is that, while not wanting the bad guys to succeed, I still found some of them sympathetic at times, and even the most evil of the conspirators was involved in doing something that could have had a positive effect on the world. Since thrillers are plot driven, character development often doesn’t get as much attention, resulting in secondary characters that are cartoonish or caricatures. Barber avoided this mistake, while still leaving no doubt about who the good guys and bad guys were. 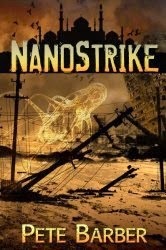 Thriller fans should find NanoStrike, with its combination of timely concerns and speculation about what the future might hold, a very worthy read.